What Art Thou Soul Of The Saints? Everybody has one, animals, even inanimate objects do too, what we refer to as soul. By nature it is in a constant state of flux, affected by fate, choice, and whim, in sundry stages of progression, stagnation, and regression. The subjectivity of it is the recurring appeal. 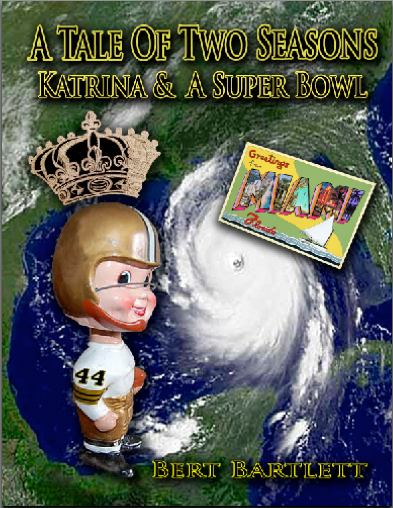 For the past several years, we have had a pretty good pulse on the soul of the Post Katrina Saints, and it won them a championship. Contrary to some popular national perception, the Saints did not sell theirs to win a title by activities elongated in the circus that was Bountygate. Nor did Commissioner Roger Goodell rob them of a shot at another one, with league ground breaking suspensions of staff and personnel. An ill conceived, mediocre, dual interim head coaching arrangement was not the culprit, either. It took all of about two minutes watching the Ravens and the 49’ers duke it out in the Superdome to realize how far the Saints have drifted in title contention, not as much in talent shortcomings as in – sheer attitude. Last year’s team was let down by anemic, paltry play from its core group of veterans, from B to Z. Whether in coughing up a big lead to the lowly Chiefs at home, or being unable or unwilling to simply tackle the kickoff return man up in New York against the Giants in a game they had to have at the time, on the field, the 2012 Saints were pigs. Tom Benson has only so many more Super Bowls he hopes to be a part of, and opened up his checkbook to make Sean Payton not only the highest paid coach in the NFL, but in all of pro sports. The irony of a princely sum of a raise off a humbling suspension, triggered by a contract technicality causing it’s renegotiation in the first place, may be the only worthy footnote from Bountygate. Indeed, the onus is on the head coach to bring back some kind of grit to a team last seen all but bereft of it. Payton seemed to sense this in his returning press conference, warning the media not to expect any miracles just because he’s back. Wisely, he realizes the prosperity of soul belongs to a higher power than he. In search of ‘tude, Payton immediately let placid defensive coordinator Steve Spagnuolo go, despite having hired him a year earlier and not even getting to work with him because of the suspension. He brought in the animated Rob Ryan, not as much because a scheme adjustment to the 3 – 4 is the answer to the team’s longtime defensive woes (hardly), but in the belief that a match being lit under the players’ rear ends is a better have than not, for a start. An asset of Payton’s is being able to get in players’ faces without embarrassing them on television. And boy, does this team need that. The robust Ryan appears that he will enjoy all the fine cuisine that the Crescent City has to offer. His resume has improving defenses to top 10 or 12 or so statistical rankings wherever he’s been, including Oakland, Cleveland, and lastly in Dallas. Alarmingly though, at the end of more than one game that they lost last season, the Cowboys defense was penalized for coaching’s cardinal sin – not having enough players on the field. So Ryan will have to tighten a few holes in his belt. Let’s face it, it’s the beginning of the end for Drew Brees’ magnificent quarterbacking career in New Orleans. Mitch Landrieu is fortunate #9’s retirement did not preclude a second mayoral term. But the front office has pushed the envelope in his protection, allowing studs Carl Nicks and Jermain Bushrod to leave for Tampa and Chicago in the past two off-seasons. Aaron Kromer was an interim dud but more than able with the offensive line, and he heading north with Bushrod puts pressure on the unit out of the gate, to meet their top tier league play over the past several seasons. Saints fans can only continue to rub their rosaries that Brees will buck the odds and again avoid a season’s loss to injury that befell Tom Brady and Peyton Manning at an advancing age. It’s hard to predict what will emanate from this team. After eight years, the Katrina factor – win for a cause greater than self – has mostly dissipated. “Revenge” for Bountygate had its term last year and it expired worthless, and even with Payton back, it rings hollow. Young and new blood in player personnel will largely define this team, and we don’t know how these guys will blend together as an outfit, regardless of all the glowing hot air there is to be heard from the local media about them during the yawner that is pre-season. We won’t have a firm handle on New Orleans’ favorite team until about a month or so after they line up and kick it off for keeps against the Dirty Birds here on September 8. With Payton’s return, the media slant is the Saints getting back to what they were, but the real story is who they will be. Yet we do know that a) football’s back, and b) though it hardly seems like it’s been that long, for the fifth straight season, Souls Of The Saints will offer it’s little share of the spin. Awesome post. You need to find a way to get paid for this. Killing it, Lance – from B to Z! Great piece Bert. Look forward to having you on the show at the end of August.